Sometimes a great actor is all you need to turn a routine movie about addiction into something memorable. 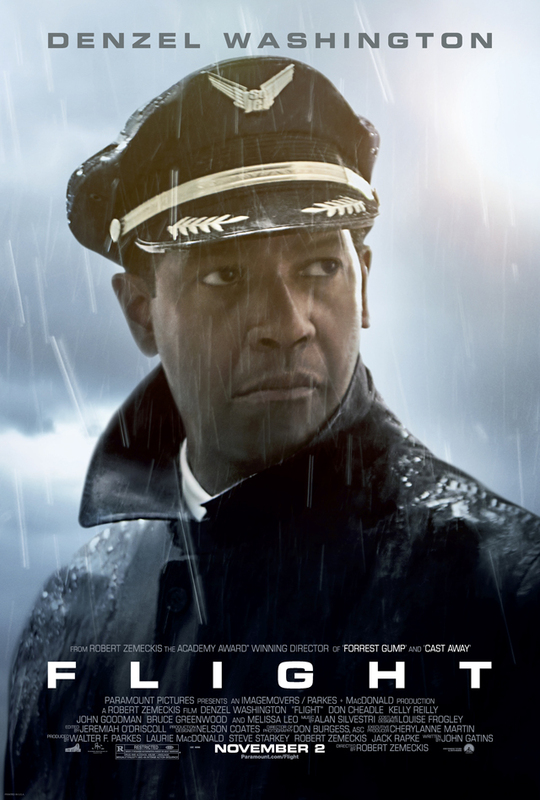 Denzel Washington, who just keeps getting better, is a sparking, snapping live wire in the role of Capt. Whip Whitaker, a commercial pilot who performs heroically in the air, but can’t control his own life on the ground. Director Robert Zemeckis is no stranger to air disaster movies (recall “Cast Away” with Tom Hanks). Yet despite its pulse pounding first act, “Flight” is neither an action movie (think “Unstoppable”) nor a movie with fancy effects. It’s about a man with an addiction, and Zemeckis, at the top of his game, directs with an incredible eye for details. Sounds dull? It isn’t. Washington conducts a master class in acting by showing a man losing his sense of himself in fractional gradations. This is his show, and his tour de force performance is what gives the movie all the bite it needs. The characters and subplots that surround him also play an important part in the picture (you’ve got Don Cheadle, Bruce Greenwood and even John Goodman as supporting actors). So what’s the downside? The movie is long (143 minutes) and overstuffed, especially as it reaches its climax. Until then, “Flight” is poignant, fierce and heartfelt. Oscar or not, that does deserve your consideration. Welcome back Mr. Zemeckis. very true indeed… but somehow i cant see denzel as an oscar nominee in that one,even though his portrayal of emotions is flawless: the way his eyes squint or his voice shakes when he is playin scared…OMG!! but c’mon, its a typical denzel role. yet again kudos to the director. No Oscar here, but he’s terrific as always. Sometimes that’s all you need to enjoy a movie. HDERTOU BL CINAMA HAWNI BI MALBURN ,EL TYARJI YKHTACI EL KHAMRA !!! !